Are you looking for a big space with an excellent dance floor and small stage? St Peter’s hall has all this and more in a central Edinburgh location. 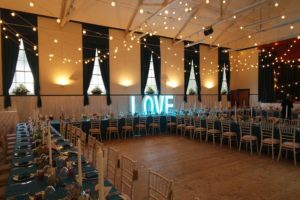 The 170m2 hall is used for dancing classes, dances and ceilidhs, children’s parties, adult’s parties, conferences, exhibitions, fairs, exercise classes, wedding receptions, fundraisers and cultural celebrations. While we refurbish the Link Building a small kitchen with kettles, microwave, fridge and sink is available. Contact the Office Manager to make an enquiry.